The Top 3 Convention Centers Perfect For Vendors! Hundreds of millions of people live in the United States today. Around 300 million to be exact. This country has many iconic, bustling, cities that a huge amount of people call home. Chicago, Las Vegas, Washington, D.C., and New York City just to name a few. These particular cities are iconic for their own unique reasons, respectively. The one thing that all of these cities, and many others unmentioned, have in common, is the sheer size of their population. This huge population size is a means for a good business market. Perfect for unveiling new tech products or holding conventions. Conventions in these cities always draw out incredible amounts of people, so that means that convention centers need to be able to accommodate for large surges of convention goers. Look at the McCormick Place in Chicago, IL. This beautiful convention center is located right along scenic Lake Michigan. McCormick Place just so happens to be THE country’s number one convention center, and rightly so. Seeing as how they cater to nearly 3 million people each year and host a wide array of conventions, they have definitely earned their title of number one. This particular convention center is made up for 4 separate buildings and come up to a combined 2.6 million square feet. 173 meeting rooms, 4 ballrooms, and 6,000 parking spaces mean that this place is perfect for vendors. Next is the ever popular Las Vegas Convention Center. This expansive sprawl comes in at more than 3.2 million square feet. Las Vegas is one of the nation’s biggest tourist locals, so keeping things up to date and state of the art comes naturally for them. This includes their convention center. 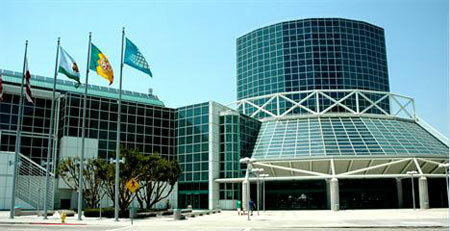 When you step inside this massive building, you are stepping into a convention vendor’s gold mine in terms of space. With roughly 2 million square feet of exhibit space and 144 meeting rooms, there is more than enough ample room to set up everything you may need for your vendor. This building is so big, it can house multiple conventions at the same time. Combine that with the fact that it hosts some of the biggest conventions like Comic-Con and E3 show that this is a prime convention vendor spot. Washington, D.C. may not seem like it, but its convention center has become a big spot for convention attendees recently. Despite the fact that it is still relatively new, Washington, D.C.’s other attractions naturally bring in more and more people. This alone will show that any convention that goes on here will be seeing a good turn out. This 2.3 million square foot convention center boasts the biggest ballroom in the region, and is incredibly energy efficient for its size. They are quite used to using their 77 meeting rooms and 700,000 square feet of exhibit space for a range of different uses and conventions. 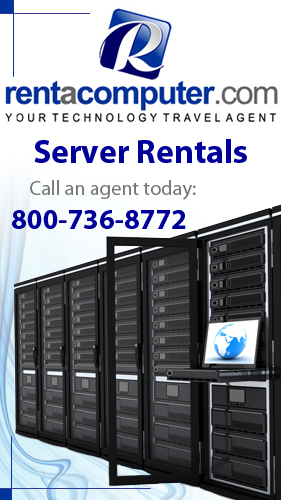 They also claim to have an extremely dedicated staff, no matter what the event may entail. These are just a few of the top convention centers across the nation. These are the biggest, best, and most used. Chances are, if you are going to be a vendor at any convention, you are going to want it to be in one of these expansive and gorgeous convention centers. 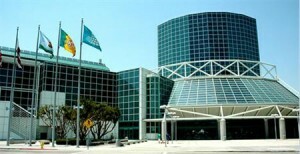 This entry was posted in Convention Center Events, Convention Centers and tagged Ballrooms, Comic-Con, convention centers, Convention Vendors, conventions, E3, Events, Las Vegas Convention Center, McCormick Place Convention Center, Washington Convention Center. Bookmark the permalink.